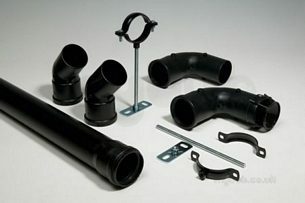 The 522 Flue Kit is made to function with 60 and 100 flue systems. Absolutely fantastic service. I made my order and got a message telling me the expected date of delivery, it was delivered first thing on the morning they estimated. Would definately use again and would certainly recommend to anybody I know. Thank you MyTub. Why choose MyTub Limited for vokera 522 na plume management kit 522?